On January 16, 2018, Human Rights Without Frontiers International published an article, urgently calling on EU member states and South Korea to provide political asylum to Christians of The Church of Almighty God. The article said, not one of more than 600 Christians of The Church of Almighty God fleeing to South Korea obtained refugee status and 178 face repatriation. This incident has caused great concern of many international human rights organizations and religious experts and scholars. Recently, Do Heeyoun, a human rights activist from South Korea visited The Church of Almighty God in the United States and made a comment on the crisis of religious refugees' asylum in Korea. Persecution of The Church of Almighty God Was Unveiled at UN. Why CCP Persecutes Religious Beliefs? 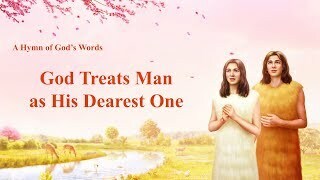 Analysis of the CCP's Persecution of Religious Beliefs Under the Pretext of "Cult"
2019 Christian Worship Dance | "Sing and Dance in Praise of God"
2019 Christian Song "God Treats Man as His Dearest One"